The next large scale release from Peach State Overland was just launched. This time, coverage of the first annual Red Clay Rally, organized by Overland Tennessee. 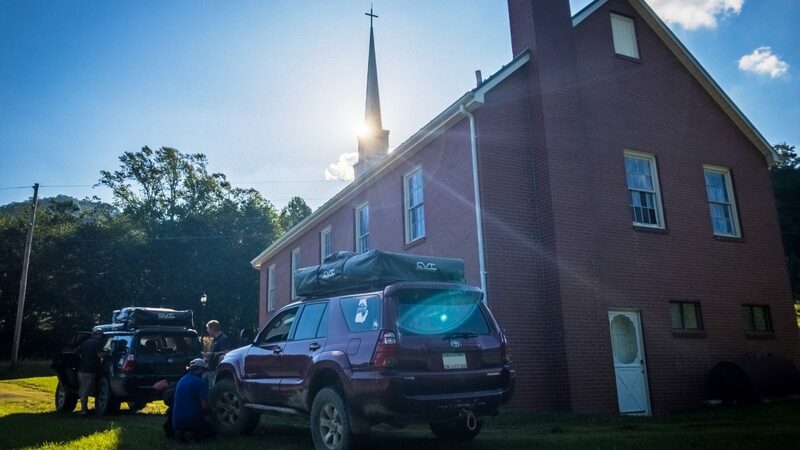 This was a 3-day monte carlo style rally that spanned across paved and unpaved roads throughout the Appalachian Mountains from north-eastern Tennessee down through North Carolina and Georgia. For those who are unaware, as I was, a monte carlo style rally is not a race, but a timed event where the goal is to match as closely as possible to a set goal time. In this case, the organizer set the pace on a pre-run months prior to the event. If your team was too slow when compared to the goal time, you lost points, but if your team was too fast, you also lost points. On the video production side of Peach State Overland, I’ve come to the conclusion that the better way to provide coverage of our trips is to, unfortunately, not drive. Capturing the details, the dialogue, the better angles, all require attention that is hard to spare when you’re driving your own rig. This is not only the case when driving, but setting up camp as well. Simply put, if your attention is diverted elsewhere, the content will naturally suffer. For the Red Clay Rally, the team wanted to put this theory to the test. We ran a three vehicle team, and all six (at the time) team member’s were in attendance. Specifically, we had three drivers responsible for each of their rigs, one navigator in the lead vehicle, and two people responsible for video/production. This allowed everyone to have a predetermined scope of responsibility and in my opinion, helped greatly. The rally was hard work and put our team dynamic to the test. Ultimately, the video production improved. But you can be the judge.